In a preview post for this year’s Google I/O, we told you that a new Chromecast was on the way, one that would sport a new form factor that would also allow users to attach the device to any speaker, making almost any audio product in your house Cast-ready. We were hopeful that Google might mention it during I/O, but in reality, our sources told us to expect the device in Q3 and at the same $35 price point. Fast forward to today, and 9to5Google has all but confirmed that report with a leak that shares even more on the new Chromecast. According to this new report, the new Chromecast will change form factors, include some sort of feed service through its main screen and improved WiFi, a new feature called “Fast Play,” and will have a way to connect to almost any speaker for audio casting. As you can see in the pictures below of the new device and its packaging, it certainly looks different this time around. Well, it still comes of dongle-y, only there could be color options and a more unique ball shape. The idea of an improved appearance makes sense if this new Chromecast can attach to more devices that will likely leave it out in the open, instead of just tucked behind a TV or screen. 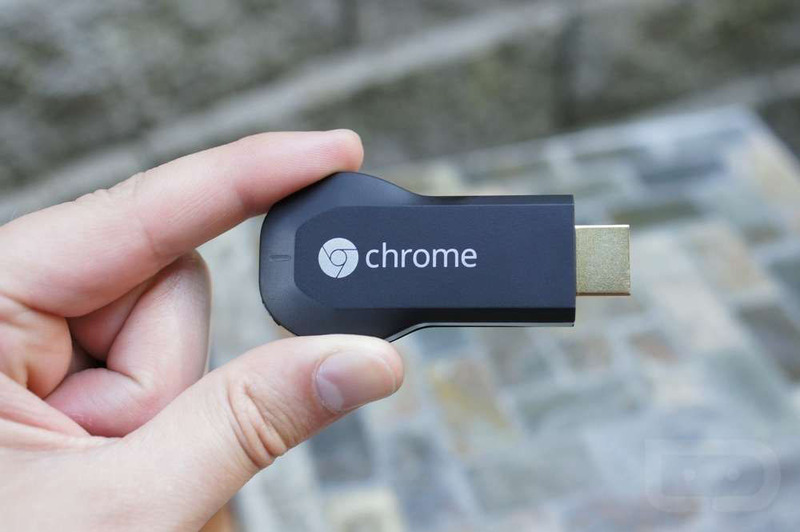 New features like “Fast Play” should allow users to quickly establish connections to Chromecasts. The process isn’t terrible in the current version, but quicker connections are always something we’ll welcome, especially when it comes to showing a video clip or playing music. As for the audio portion of this Chromecast that we first reported on, 9to5Google is calling it “Chromecast Audio” and also mentions, as we did, that the new Chromecast should be connectible to almost any speaker. Today’s report claims that this new Chromecast will be announced on September 29 (Hey, Q3 still!) along with the two Nexus phones at an event in San Francisco. Spotify will more than likely be announced as a part of the presentation.